Get a free poster for your classroom or library! If you work in a school or library and would like a free poster of The Map to Everywhere for your library or classroom, just fill out the form below and we’ll drop one in the mail to you! FYI — The Map to Everywhere will be available in the fall 2015 Scholastic Reading Club and Spring 2016 Scholastic Book Fairs. And don’t forget to check the other resources available to parents, teachers, and librarians including 20 minute Q&A Skype visits, discussion guides, and activity sheets! Click here for more info! If you’re having problems with the form on this page, try this link or email me at carrie@carrieryan.com. 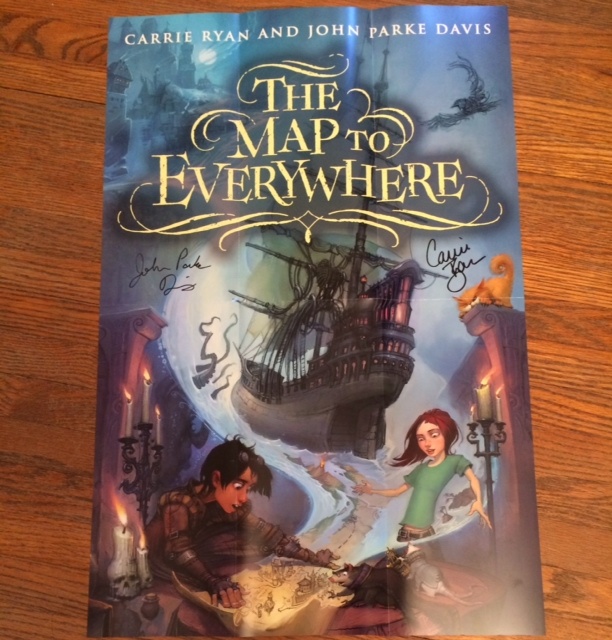 The Map to Everywhere 22.5″ x 15″ poster!